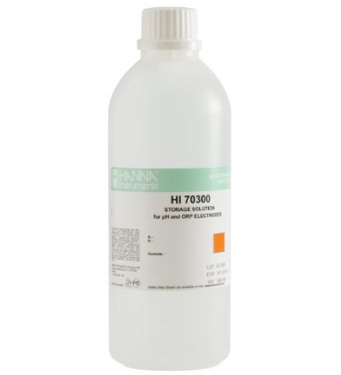 When we're not using the pH meter, we put this storage solution (Hanna HI70300L shown in picture) in the tip to keep the electrode from deteriorating. Water (even distilled water) should not be used for storage. Make sure to rinse the meter well before using to wash off all storage solution. Rinsing with regular tap water is fine if you intend to use the meter immediately. 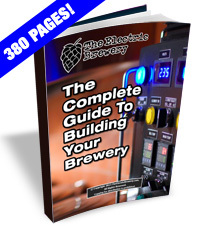 There's no need to store the pH meter in pH meter storage solution in between measurements on brew day. After using, simply rinse off the meter with distilled or RO water and shake dry. At the end of the brew day, rinse it again, fill the area in the black tip where the probe sits with the storage solution and close. You may see some white crystals form on the outside after a day or two. This is normal and can be left until next brew day.